The deets: GAP jeans (destroyed myself) and heels (old); Chinchilly nails; Ray-Ban sunnies; snood c/o Seams to Be; H&M earrings (won from A Beautiful Life); J.Crew tee; Piperlime clutch; Express jacket (similar); David Yurman ring. 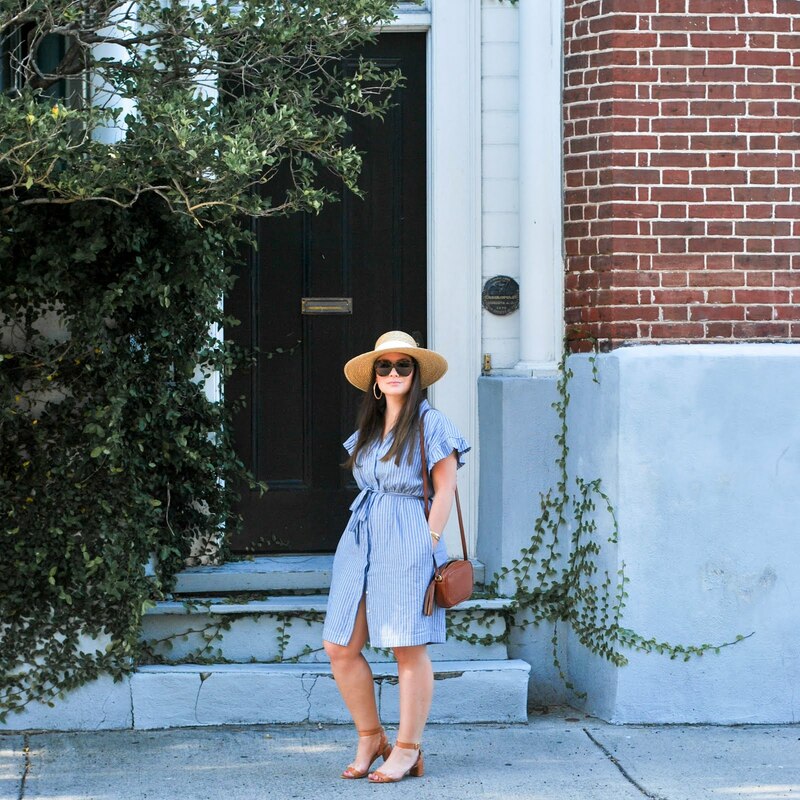 You can find almost all of my personal Autumn staples here in one look (minus boots - obvs). Everyone's must haves are different of course, but for me a (faux) leather jacket, plain white tee, cozy snood in a neutral tone, sunnies for any occasion, broken in denim, and a pair of black suede pumps top the list. Layer them all together and this is what you get. I like to keep it simple, especially when the wind is wild like it was on this day (check out my cray cray wind hair in the last pic). Look out for a Seams to Be giveaway in the coming weeks! i used to have that same leather jacket!! and i love the snood! where were you going in this?? Great outfit! Those earrings are gorgeous :) Have a great day! Love it. So simple, yet so chic. mine includes chunky scarves and my moto jacket as well! Huge, cozy infinity scarves are my favorite...I love this grey one! This is my go to look exactly, right down to the cozy knit and aviators. Looking, chic and stylish! Love this look, especially the snood (what a silly word). Erin, this could be one of my favorite looks from you! which is BIG because I am in love with everything you wear! love that snood and the whole look! Fab outfit love the snood! So I had no clue what a snood was - until now lol Who came up with that word?! You look gorgeous in these pics!! You look so chic! LOVE the jacket. Yes, I agree, all of these items are a must :), that scarf is perfect. I love all your autumn staples! They're pretty much mine too! yes I love this look! all basics and all a must! Love this look - that scarf is amazing! Loving this outfit! I really want to get a good faux leather jacket for fall!! Great outfit, it's so classic! Looks like the perfect fall outfit. I love a good fall scarf. Love the jacket! I am kind of excited for layering season! Cute outfit! Simple but classic. 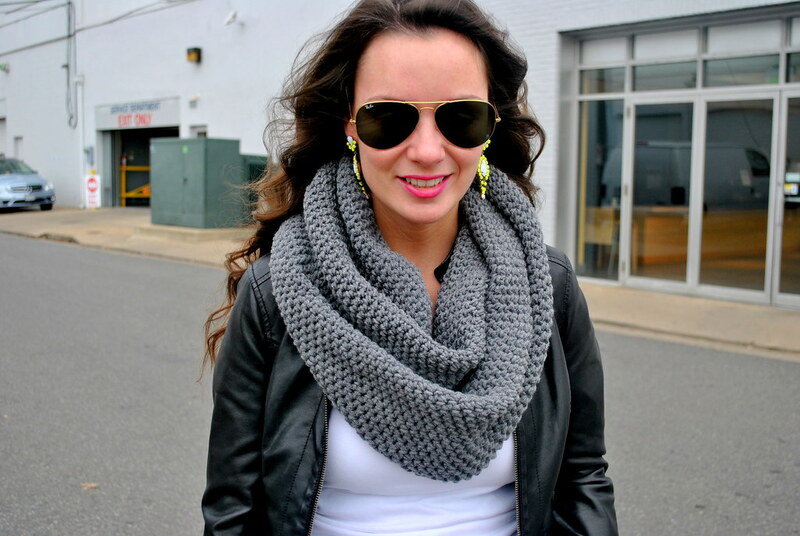 I have a very similar snood from J.Crew that I bought last year and I so can't wait to break it out again. It makes me feel all warm and cozy. Well, now I want snoods. Multiple. They look amazing and so comfortable. And if I don't win the giveaway, I will come and take yours. THANKS.